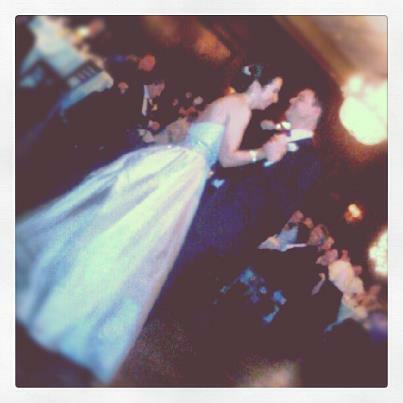 This past weekend, I was celebrated the wedding festivities of one of my oldest friends, Miss Mare. The wedding was gorgeous, as was the bride. Now, she’s off enjoying herself and her new marriage in a tropical locale, while it snowed today in Chicago. Not fair. In any case, to help her relax when she gets home, I put together a little box of stuff for a quiet night in. Inside the box was a comfy nightgown, some chocolate, pumpkin spice hot cocoa mix, and some pillow spray in the soothing scent of lavender vanilla. Just a little something to look forward to using when the newlyweds get home. But to me, the coolest thing I gave her was this tote bag. 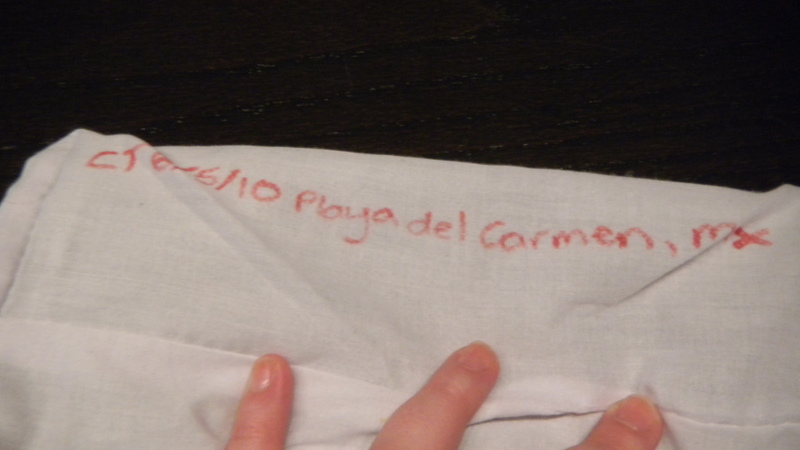 It’s sort of become like the jeans in the Sisterhood of the Traveling Pants to our group. 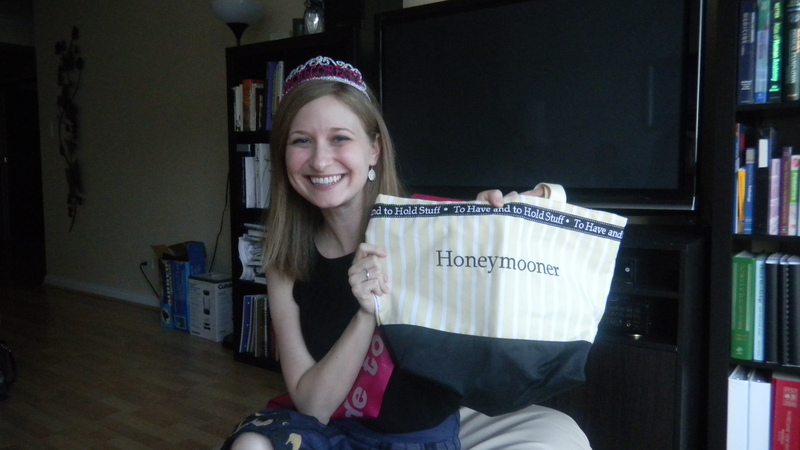 See, I was given the tote at my bachelorette party by my cousins, and it came with me on my Mexican honeymoon. Then, I gave it to our friend, Lauren, to use on her trip to Hawaii. It was no surprise that Mary was expecting this very bag for her own honeymoon. This time, I added a fun twist. Lauren and I each added our initials to the inside of the bag, along with our wedding dates and our honeymoon locations. To be even cuter, we wrote in our wedding colors. You only see my info in the photo. I didn’t get a shot of it after Lauren signed. 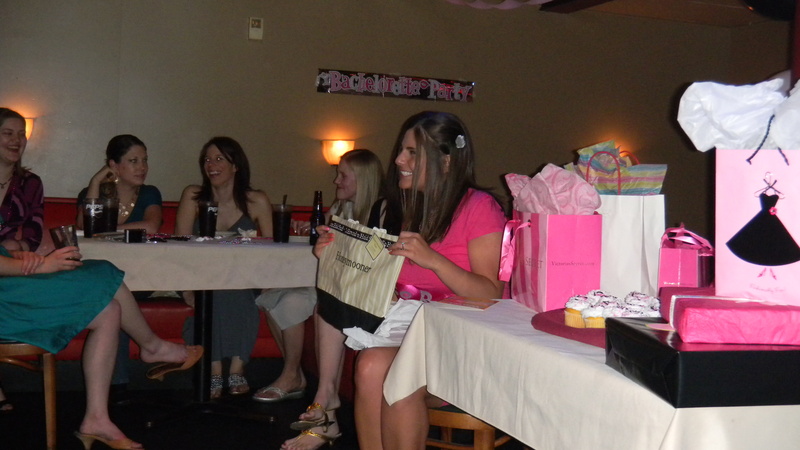 I gave Mary the bag and a purple sharpie (her wedding color) so she can add her initials to the group bag. It’s something that was never intended to start, but is definitely a fun little group tradition. Oh my gosh, I love this! And I did not realize you and Dan wrote the sweet poem–even better! Thank you so much for the lovely gift! 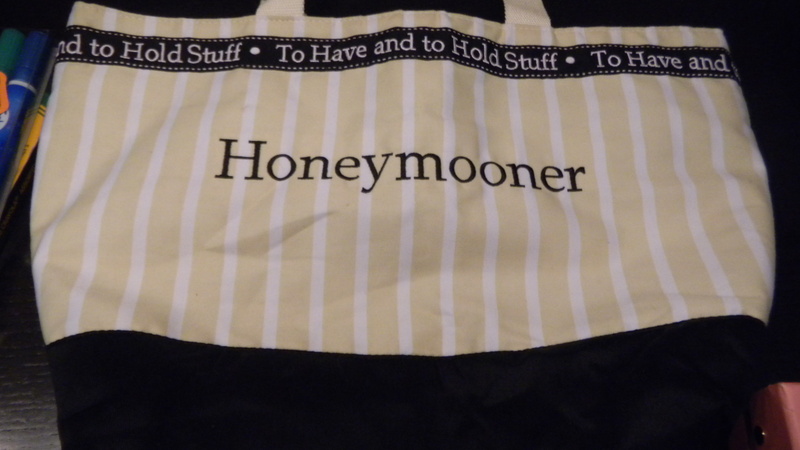 And the Honeymooner bag came in handy in St. Lucia and safely made it back to Chicago. I’ll get it back to you and then we will have to wait to see who its next recipient will be . . .
You are more than welcome! I’m so glad you guys had fun in St. Lucia (I saw your pictures)! We did write the poem ourselves because I couldn’t find any good ones online. Welcome to the married club! It’s a blast!